It's the height of corn season, and Eugene and I have been eating ears of sweet, local bi-color corn pretty several times a week. Earlier this summer, when the first lovely ears started showing up at market tables, Eugene brought a few home from the farmstand near his office and asked me to make them for him. I shucked the corn and dropped them into a pot with just an inch or so of water, covered it, and raised the flame to high. About 7 minutes later, I brought Eugene a plate with two ears rolling on top of it from side to side. "Do you want butter?" I asked. He stared up at me in amazement. "It's already ready?!" Turns out that when he was growing up, Eugene's mom used to prepare the corn by boiling it in a large pot filled with water. Waiting for that much water to boil was quite the process and so, like Eugene explained, it always took "forever" from the moment he asked until the cooked corn finally arrived on his plate. 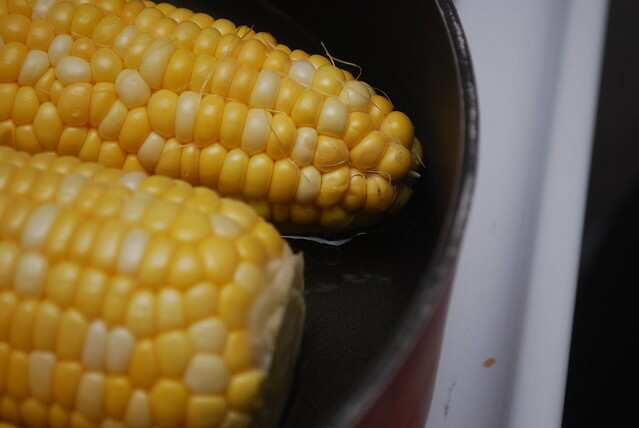 There is no need to fill up a whole pot with water; you only need just enough to create steam and keep the corn from burning. Drop the corn right in with the water and--depending on how big your corn is--in 5 to 7 minutes, it'll be ready to eat. This saves time, energy, water, and gas...AND it produces a superior final dish. Pretty perfect, huh? Shuck and rinse your corn, removing any threads of silk. 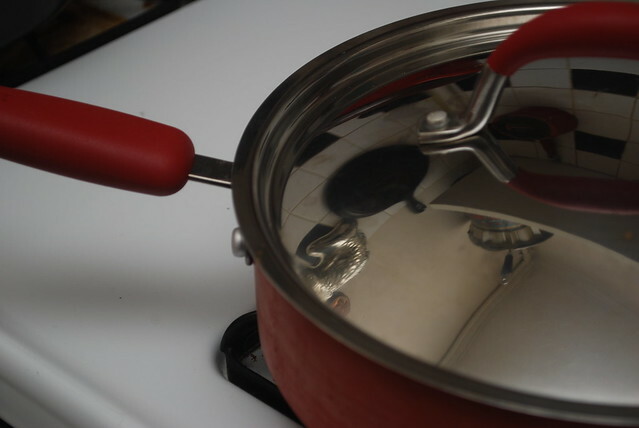 Arrange side-by-side in a large pot or skillet with a cover. Pour in water until it is approximately one inch up the sides (see above picture for reference). Place over high heat and cover. Let cook for 5-7 minutes, or until the corn is cooked completely. Remove ears of corn from water, season if desired, and serve. 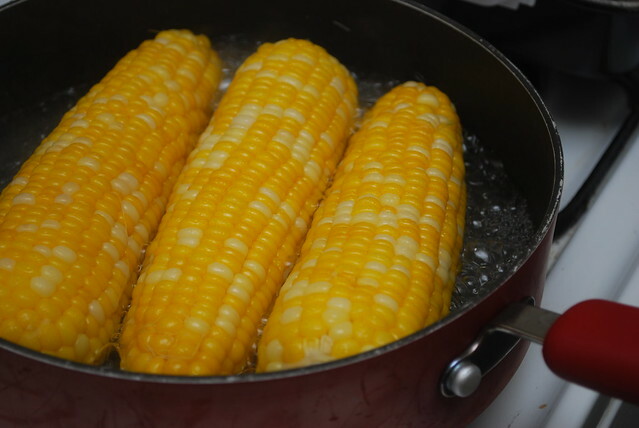 Note: Do not salt water as this will make the corn tough; wait until after the corn is cooked to salt and season as desired. This can also be made in a large dutch oven or cast iron skillet.